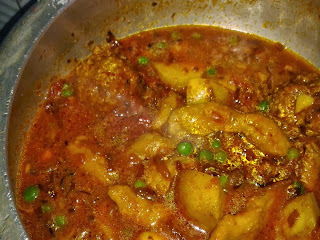 Veg Indian Good Food Recipes..: Gathiya and Punjabi Urad Dal Wadi Ki Sabzi..
My this recipe is Fusion recipe as here i am using Urad Dal Wadi from Punjab and Gathiya From Gujarat. Wow what an interesting combination! 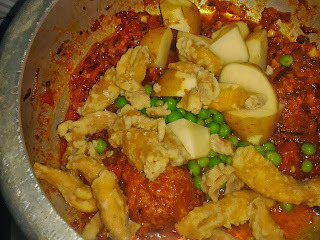 Both the ingredients i am taking ready made, purchased from local market, but both the ingredients are easy to make at home too. Moong Dal Wadis are very much famous in Amritsar (India). 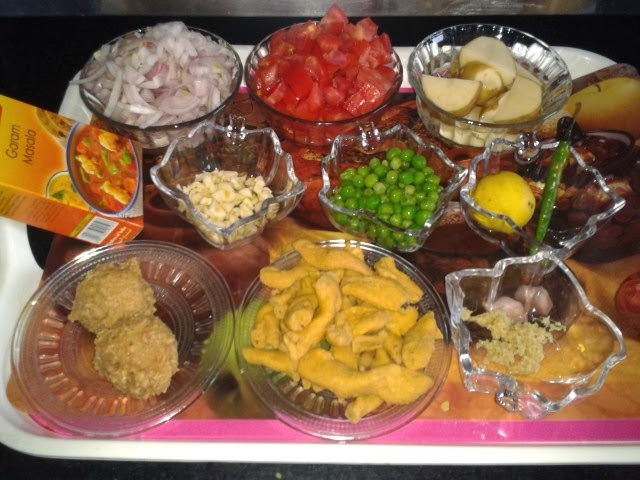 Wadis are prepared in different types that is Moong Dal Wadis, Spicy Dal Wadis, Urad Dal Wadis etc. 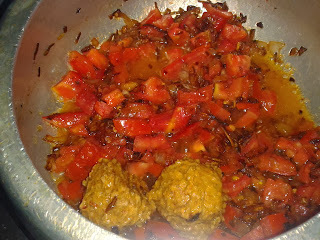 The Wadis are basically sun-dried spheres made of dal cooked with lots of black pepper and red chillies. 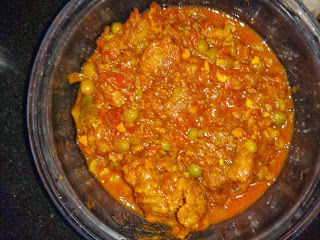 The premium quality and delicious taste has made the Indian Dal Wadis one of the favorite cuisies of millions. 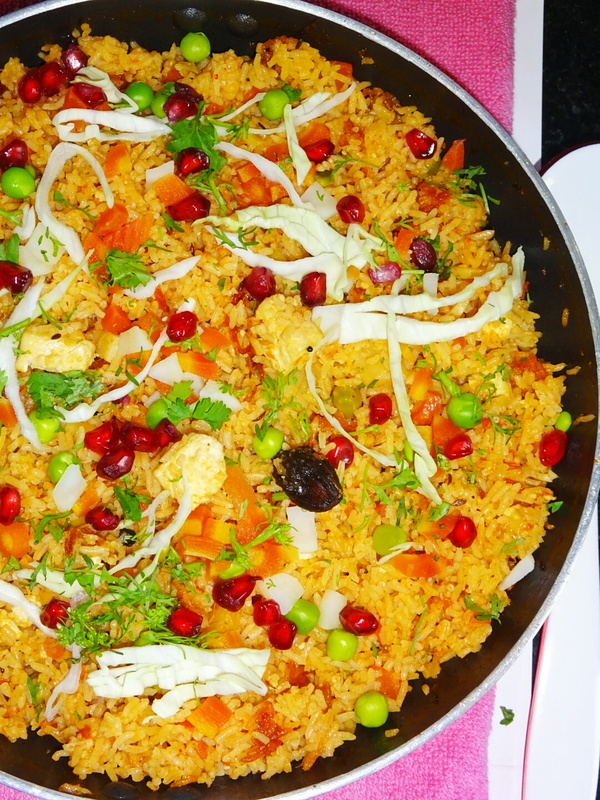 These Wadis are easily picked from grocery shops , the one i am using in this recipe is made from urad dal. 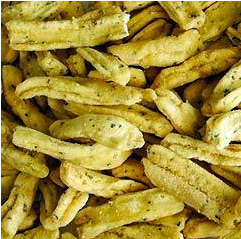 Gathiya is a popular tea time snack. 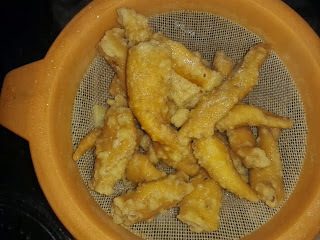 It is made of gram-flour strips deep fried. This item is easily picked from sweets and snacks shops in India. 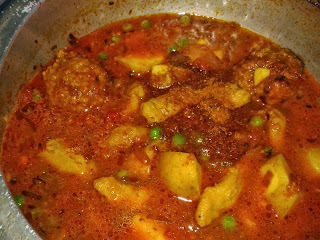 You don't need to prepare at home, but if you want here is the recipe, which help you as how to make home made Gathiya. 10. 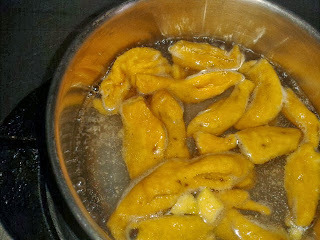 Ginger paste 1 tsp. 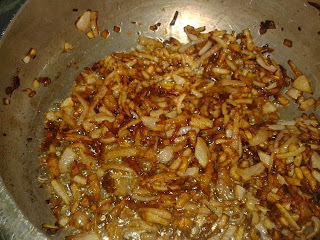 This recipe we are making in pressure cooker, so take pressure cooker add 2tbsp cooking oil, add roughly chopped onions, cook on high flame. 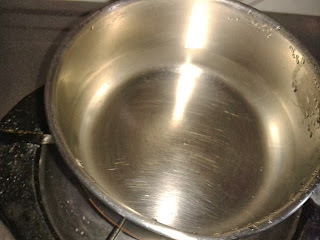 The purpose of adding Gathiya in hot water, as it removes extra oil from Gathiya. Keep in water from 2-3 minutes, then remove from water and keep asaide. 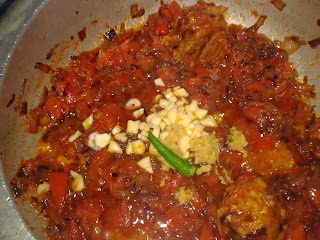 Now add ginger, garlic, green chilly, mix well and cook for another one minute. 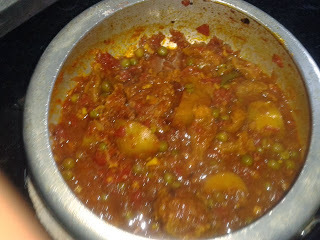 Then add vegetables that is peas, potatoes and Gathiya (which are boiled), add and mix well and cook for another one minute. 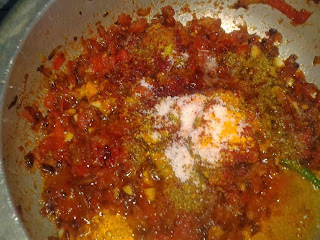 Now add one and half glass of water (350 ml) and add garam masala powder. 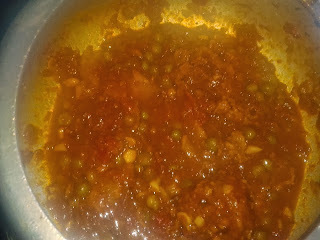 Now cover the pressure cooker and allow to whistle 4-5 times and then slow the flame and cook for one -two minute. 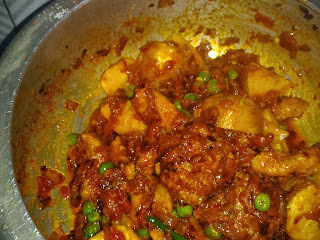 Remove from gas stove. 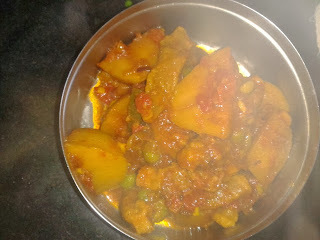 After cool down, open the cooker, check whether wadi is properly cooked or not, if wadi is not cooked then remove Gathiya and potatoes as they get cooked fast, just gravy and wadi, put little water and again pressure cook with 2-3 whistle. 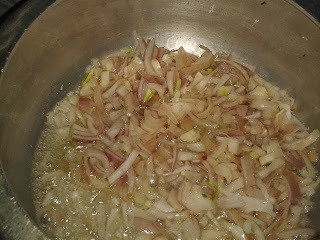 Our Gathiya and Punjabi Dal ki sabzi is ready to serve with lemon and onion slice.